If you haven't heard already, those ridiculous-looking “barefoot running shoes” that have been pretty trendy the past couple of years yield pretty much no health benefits. That was revealed last week, when Vibram, the company that makes them, settled a class-action lawsuit that essentially called bulls**t on the company's claim that the sneakers could help strengthen muscles in the feet and lower legs, improve posture, stimulate neural function related to balance and agility, and "allow the foot and body to move naturally." In pushing the shoes, Vibram joined a big group of companies that have tried to take advantage of people desperate for quick fixes to life's most annoying problems. You know, by saying products do things that they don't. Here's the Hall of Fame. Like basically every other "toning" shoe manufacturer claiming its product can burn calories and firm thighs with each step, Skechers’ line of Shape-Ups shoes do nothing of the sort. In 2012, Skechers reached a $40 million settlement with the Federal Trade Commission for making scientifically unfounded claims about its sneakers. Oh, and maybe you remember the Shape-Ups ads that featured an endorsement from a chiropractor who recommended the kicks based on an “independent” clinical study he’d conducted? Yeah, that chiropractor turned out to be married to a Skechers marketing executive, and Skechers paid for the "study." Sketchers didn't respond to The Huffington Post's request for comment. According to Chin, “substantial evidence” demonstrated that rinsing with a mouthwash is not as effective as flossing. A representative for Pfizer, which owned Listerine at the time, declined to comment on the suit. Those salacious pics you sent on Snapchat never really disappeared. 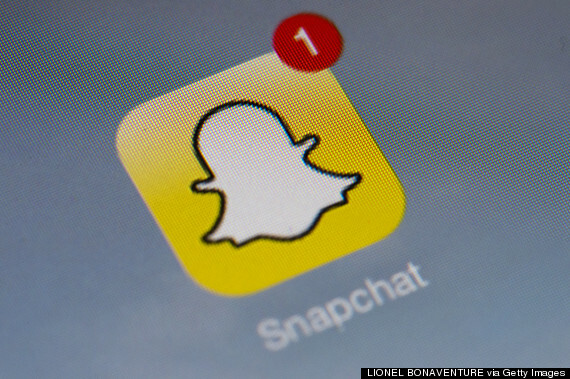 This year, Snapchat settled with the FTC over claims that the photo sharing app misled users to believe photos couldn’t be saved (spoiler alert: saving a photo sent through Snapchat is relatively easy). The FTC also alleged the company lied about the amount of personal data it was collecting from users. Last year, the plaintiffs of a class-action lawsuit blasted Naked Juice for using phrases like "100% Fruit," "All Natural,” "All Natural Fruit” and “Non-GMO” on their packaging. Not only were the products not all-natural, the suit alleged, some of Naked Juice’s products were made with genetically altered soy. Pepsico, which owns Naked Juice, defended its "all natural" claims but acknowledged that some products contained “an added boost" of synthetic vitamins. The company agreed to pull the “All Natural” labels from the bottle and paid $9 million to settle the suit. The company left the “Non-GMO” label intact and said it would enlist a third party to confirm the juice’s non-GMO status. “Our juices and smoothies are made with all-natural fruits and vegetables—with no added sugar and no preservatives,” Pepsico said in a statement posted to Facebook. “In some products, we also include an added boost of vitamins. The ‘all natural’ claim on our label described the fruits and vegetables in the bottle -- not the vitamin boosts added to some Naked beverages." At the height of the 2009 swine flu scare, Kellogg came under fire for splashing “Now Helps Support Your Child’s Immunity” across boxes of Rice Krispies cereal. It also claimed the cereal provided 25 percent of the daily recommended amount of antioxidants and nutrients. Critics blasted the company for profiting off the H1N1 panic with unsubstantiated scientific claims, and Kellogg pulled the slogan. That same year, the Federal Trade Commission took Kellogg to task for claiming its Frosted Mini-Wheats were “clinically shown to improve kids’ attentiveness by nearly 20%.” The FTC forced Kellogg to pull this from cereal boxes, and prohibited the company from "making claims about any health benefit of any food unless the claims are backed by scientific evidence and not misleading." In 2009, British lawmakers called for a ban on ads for Olay’s Definity eye cream. The ads featured former model Twiggy, then 59, with an impossibly smooth visage, completely free of crow's feet. Impossibly smooth was right: Olay admitted to retouching Twiggy’s photos, and the U.K.’s Advertising Standards Authority banned the ads, ruling they might give consumers a "misleading impression of the effect the product could achieve." In a statement provided to The Huffington Post, Olay said, "We promptly and voluntarily withdrew the original visual, substituting it with a different image which had no such post-production work in the eye area. We have since taken every step to review our processes to ensure we fully comply with our own high standards to prevent this from happening again." This year, Kellogg said it would pull its “All Natural” and “Nothing Artificial” labels from certain Kashi and Bear Naked products after a class-action lawsuit disputed the claims on Kashi’s packaging. The suit argued Kashi products use synthetic and processed versions of ingredients like pyridoxine hydrochloride, calcium pantothenate, ascorbic acid, sodium phosphate and soy oil, the latter of which is processed using hexane, a component of gasoline. A health advocacy group sued General Mills in 2012 over its “Naturally Flavored” “Strawberry” Fruit Roll-Ups, which don't contain either natural flavoring or strawberries. The Center for Science in the Public Interest alleged the fruit snack was in fact made with “pears from concentrate, corn syrup, dried corn syrup, sugar, partially hydrogenated cottonseed oil,” and less than 2 percent natural ingredients. A representative for General Mills said, "We disagreed with the plaintiff on the merit of the case, and the substance, but we agreed to resolve the matter to avoid further litigation. We stand behind our products, and the accuracy of our label."